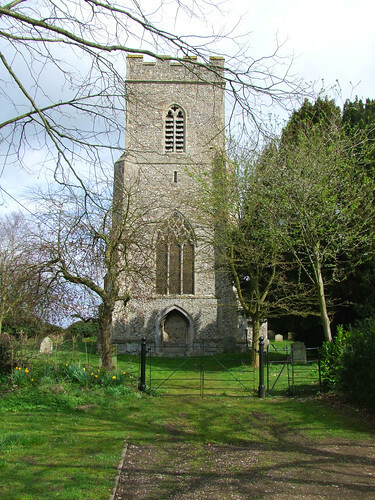 Beetley is another of those straggling, convoluted parishes to the north of Dereham. It is more populous than most, and thus it is a bit shameful that it has the only parish church around here which is kept locked without a keyholder notice, particularly as the Rectory is immediately next door. 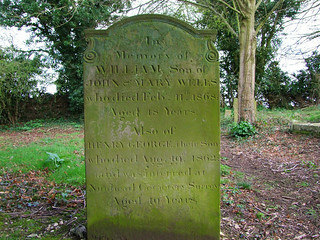 It stands away from the village, set back from the road and tower end on to the entrance to the churchyard. 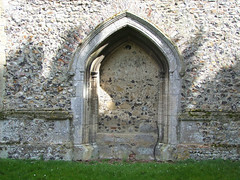 The reticulated west window is a clue to the age of the church, the blocked west doorway a clue to the welcome on offer. Coming around to the south side it becomes obvious that this is, indeed, a 14th Century church, and that tower top just a late medieval elaboration. Stepping inside, the blocked arcade on the north side with its wooden y-tracery windows tells us that the aisle was demolished in the late 18th Century, a happy date, for it meant the repair was patched up elegantly, and not replaced with something Victorian and brooding. The late perpendicular font is raised on a slightly odd brick plinth. 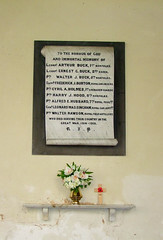 The War Memorial notes that it is to the Honour of God and in Immortal Memory of nine boys from this parish, including three members of the Buck family, who went out to the killing fields of France and beyond and never came back. 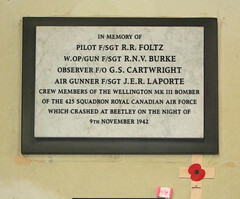 Nearby, another plaque remembers four Canadians who were killed when their plane crashed near Beetley church on 9th November 1942. 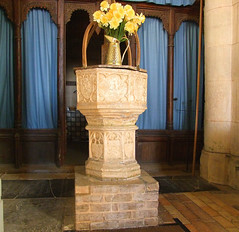 It was installed by the parish in 2005 as a tribute to the memory of the four. Two of the crew had bailed out over Germany, to end up as Prisoners of War, and then the plane limped back to Norfolk and crashed. 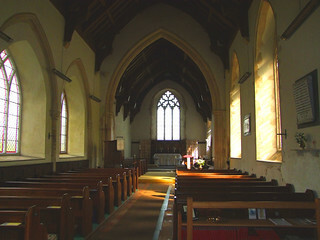 After the War, the two survivors were bemused to return and discover that a memorial service had been held at Beetley in their honour, it having been assumed they were aboard the crashed plane. It is lovely that the parish honoured the four sixty years on, but it seemed sad that the locked church meant that members of the Foltz, Burke, Cartwright and Laporte families could not easily come and pay their respects to their lost ones. 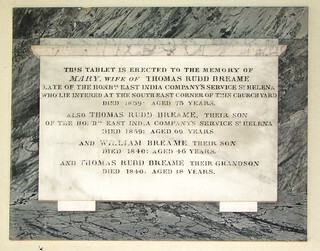 If Beetley seems remote, then spare a thought for Thomas Rudd Breame, father and son, who lie in the churchyard but are remembered by a mural monument on the south wall. They were each in the service of the Honourable East India Company at St Helena, one of the most remote islands in the world. Napoloeon Bonaparte was their neighbour for six years before he died there in 1821.